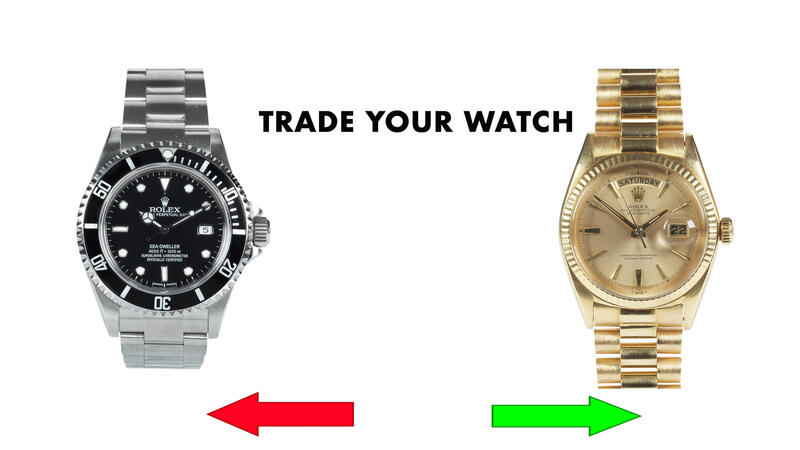 If you have you are eyeballing on a new watch, trading in your old one for credit is a great idea. Here’s how our trade-in process works. Selling your watch to Wrist Icons couldn’t be more simple and straightforward. We offer highly competitive quotes, as well as a quick and hassle-free service—just fill in your details in the form to get started. What’s more, you can use your old iconic watch as a part trade , and as we offer a vast selection of pre-owned timepieces from over the well know luxury brands, you’re sure to find exactly what you’re looking for. You can also drop by and visit us at our office, where our experts will be on hand to answer any queries you may have. If you’re ready to sell your watch now, our cash offer option is the most popular. Cash transactions are also our quickest method of selling. Here’s how it works. We work with you to help you get top money for your watch in four easy steps. GET YOUR CREDIT AND TRADE UP! Tell us about your watch with our simple form. The more information & photos you share with us the more accurate the market valuation will be. If you like the quote you’ll receive a pre-paid shipping label including insurance. Face-to-face collection can also be arranged. Once we receive your watch our qualified watch experts will inspect its condition and authenticity. If your watch has been approved by our team of experts you will get an offer Once our team has processed your watch, you will quickly receive your credit. Whenever you’re ready, you can use your credit towards a new watch. Schedule a DHL pick-up or drop your package off at an authorized DHL shipping facility. DO NOT DROP OFF AT A DROP BOX. To schedule a DHL pick-up, call +31634141572. Still have questions about how to ship your watch? Please contact us through the contact form above.